FOXPRO introduces the most innovative and featured filled hunting light to ever be offered to the Predator hunting industry. 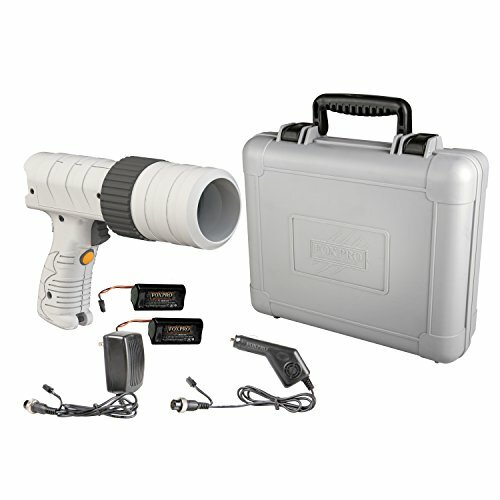 For years our customers have asked us to produce a high quality, feature rich scan light for night hunting. The FOXPRO fire eye scan light is the first in our Series of smart lights. FOXPRO will be unleashing a Series of lights that will communicate with one another and with other FOXPRO products and accessories. This scan light is the only light of its kind to have a 4 color LED selection all in one. It offers Red, green, Amber and white all of which are available at the press of a button. The fire eye is constructed from glass reinforced plastic material for extreme durability and features a familiar pistol style design for ease of use and comfort. The trigger on the fire eye is the on/off switch; it also has an instant white beam button just below the trigger for quick follow up shots or for recovery. On the back of the scan light there is a brightness control slider and a color mode indicator. The focus ring on the fire eye allows you to narrow the beam for long range scanning or widen the beam for tight or thick areas. The fire eye light kit comes with the scan light, two 3 cell lithium Ion battery packs, wall charger, car charger and a hard carry case. The fire eye is backed by a 3 year limited warranty and FOXPRO unmatched customer support and is proudly made in the USA.